Complete crypto Bounties to collect free tokens! Subscribe to BountiesAlert newsletter for the latest news for bounty hunters! 1 day ago Nodis added more tasks to the Nodis Airdrop Round 2 Airdrop, more NODIS tokens to earn. What is a crypto Bounty campaign? Crypto bounties are jobs, tasks, or projects that you have to complete in order to get paid. They are created to promote & advertise an ICO or blockchain project. If you complete the job, you are rewarded in the form of a token bounty. The tasks are not complicated and rarely involve any sort of coding. The work that needs to be done helps the project in marketing, brand recognition, workload, exposure and improve the quality of the project. What are common bounty campaigns? Wear a signature on a Bitcointalk.org forum. Depending on your ranking you will get more or fewer stakes. You usually have to be at least Jr. Member to participate. This is the best option for media users. The number of stakes you get does not only depend on the quality, they also depend on the number of views you get on your content. Translating the white paper, this translation is the one that gives you the most stakes but they might be challenging. If you have a considerable amount of followers on social media then this could result very lucrative for you. Get paid for posting on Bitcointalk. Often you need to be part of a slack group to join this sort of campaign. If you are a coder, you can earn bounties by debugging or finding errors in the code of the projects. Where can I sell my Bounties? So now you have earned crypto, what do you do? Easy, log into your AirdropAlert dashboard account and trade your tokens straight from your Airdrop dashboard! Many coins that do airdrops or bounties are PRE-ICO or just finished their ICO. This often means it is not traded yet on the bigger exchanges. You can check out our exchange page to see where you can best sell your crypto airdrops. We suggest you make an account at all exchanges we listed so you can easily sell and receive your crypto bounties. 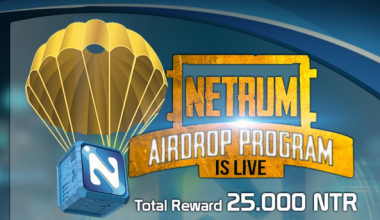 We hope you receive as many bounties as possible and that they increase in value over time. Many projects that are now top 40 coins have done give aways in their early stages, like NEM, DECRED & Ripple. You don't need to immediately sell your earned crypto, there is nothing wrong with being a HODLer. We know we are! Regularly visit BountiesAlert.com for the latest news on Bounties. We verify all campaigns for your comfort. All active bounty campaigns can be found on Bitcointalk forum. If you search in the right places for the right keywords you can find thousands of them. Why do ICO's give away free tokens? Community building is most important for any startup, not only the ones in the blockchain industry. Proof of community is valuable to new projects. By giving away tokens for small bounty jobs, the projects gets back traffic, exposure and brand awareness in return. All those points are extremely important for early companies. You are important to the business they are building! Convinced? Have a look at our new crypto bounties. If don't want to lay awake at nights worrying about your coins, hardware & cold storage wallets are your best bet. These wallets store your coins offline, and therefore protect them from being hacked. There are a number of hardware wallets available. We would advise to use read our blog on the best cold storage wallets. Not all coins & tokens can be stored in hardware wallets. We advise you to store your crypto in wallets where you have control over your private keys. You don't want your precious earned crypto to be stolen! We like to say "Not your keys? Not your coins!" Never give your private keys! Be careful downloading wallets of smaller project, possibly use a Virtual machine. If you are looking to store your coins on an online wallet, we have written several beginners guides to set up Ethereum, Bitcoin, Litecoin & Ripple wallets. We want you to safely store the bounties you collect and will try to guide you along the way.